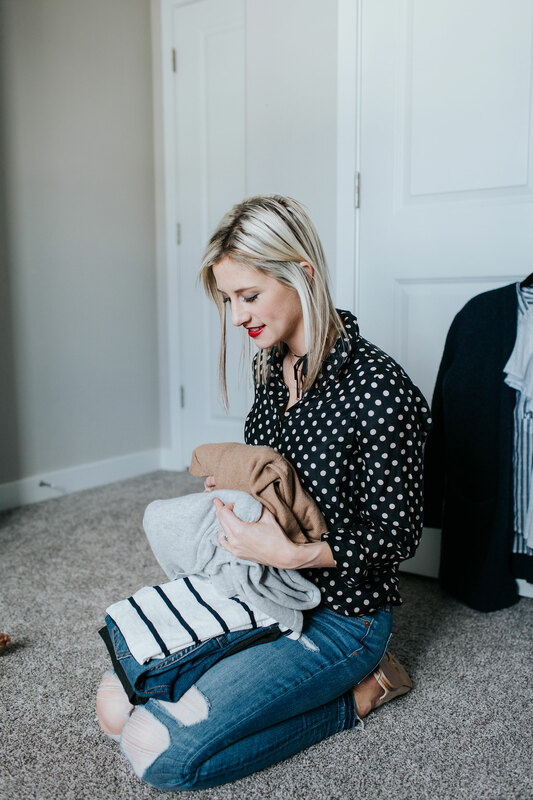 I’ve been talking a lot lately about my transition to a capsule wardrobe and the timeless staple items I can’t live without, but how did I actually get here? 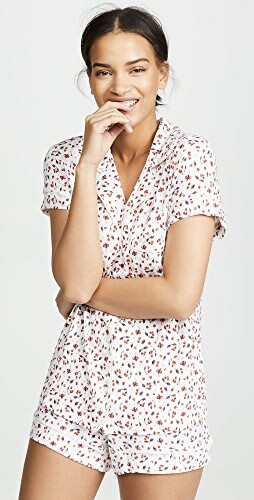 How did I clean out my closet of brand-name clothes I’ve been hanging onto for 5+ years (but not wearing) and narrow my closet down to versatile pieces I LOVE to wear each season? It wasn’t a quick and easy process, but it was easier than I ever thought. 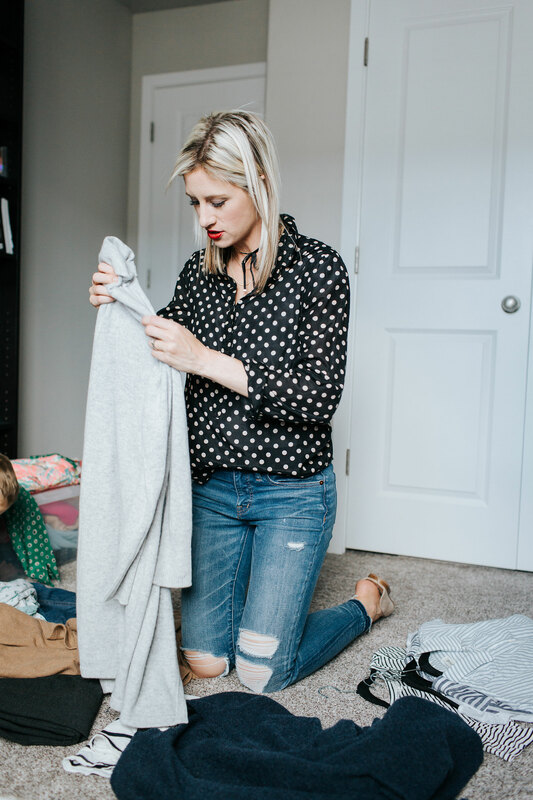 I’ll caveat this with the fact that I have been working on my perfectionism and shame issues (thanks to Brené Brown) over the past several months, and the courage I’ve found to live the life I truly want is what led me to simplifying my wardrobe. I have honestly never felt more confident and more authentic in my clothes. 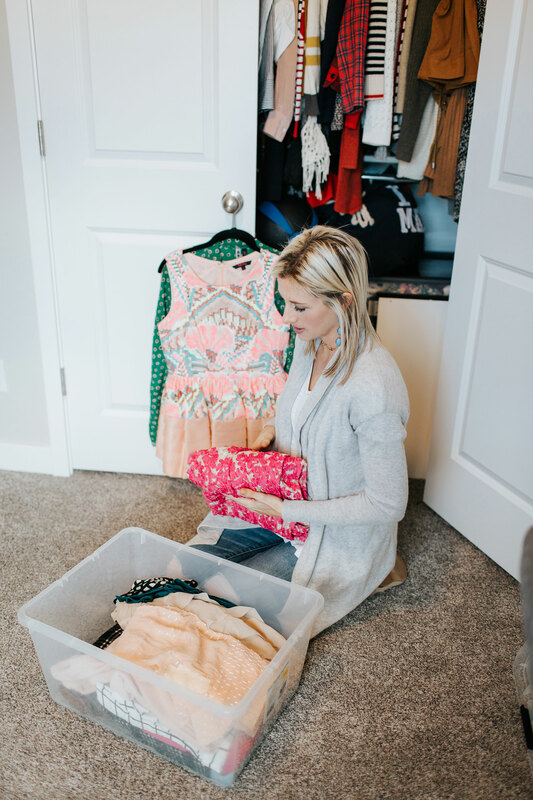 Starting with the current season, add the clothes you’ve been wearing on repeat for the past 2-3 months into one storage bin. Set all other clothes for that season into a pile on your floor or bed. Don’t worry if this pile has clothes you love, you can revisit them later. 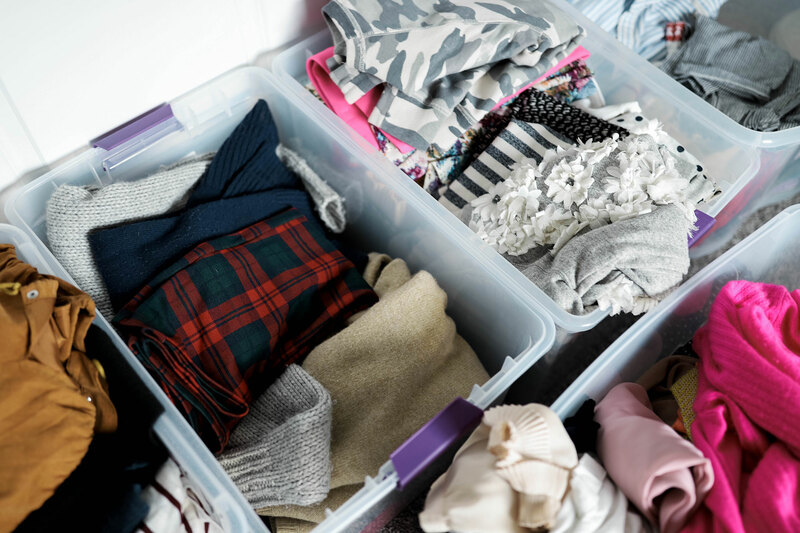 Move on to the remaining clothes in your closet and repeat the above steps, putting the clothes you wore most each season into a bin for that respective season. If you have certain items that you wear every season, just pick a season—i.e., I have jeans I like to wear all year so I put them in my fall bin. Also, don’t worry about how many items are in each bin. We’ll get to that later. 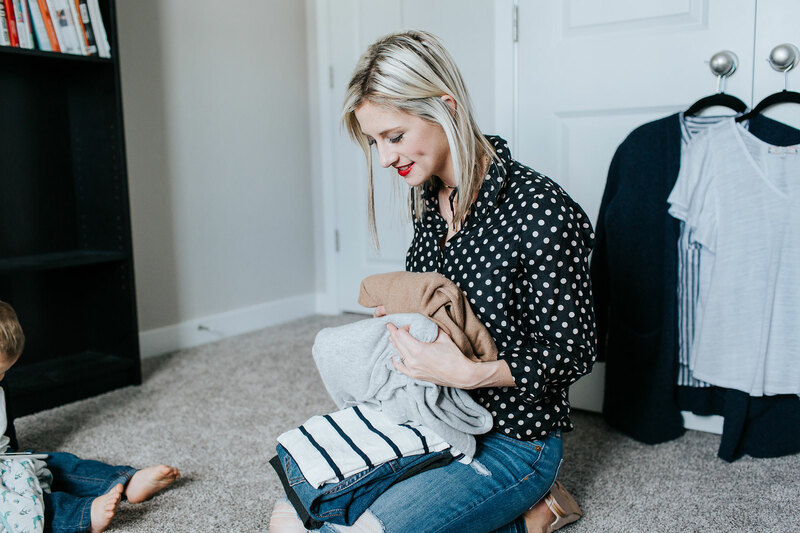 Revisit the pile of clothes on your bed and begin putting clothes into the 5th bin that you haven’t worn in more than two years, or that you know are no longer in sync with your personal style. 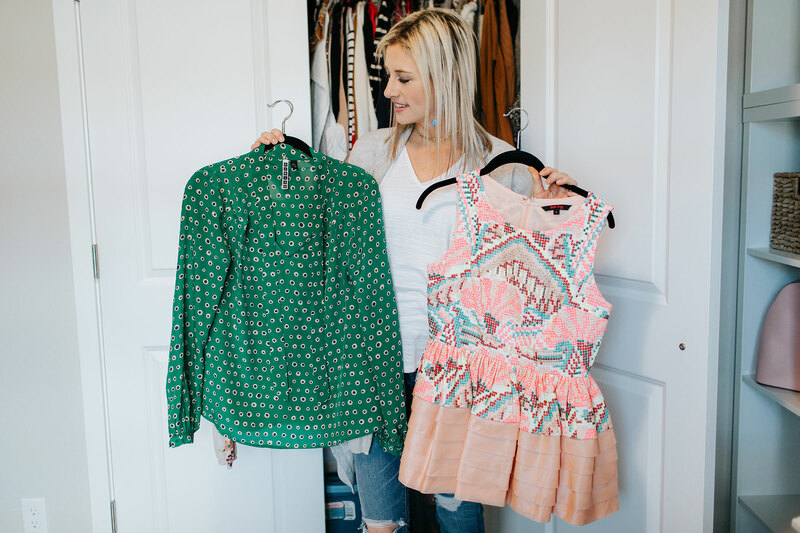 Of the clothes you’re putting into bin 5, weed out the items with low resale value (i.e., they’re either really worn or were low-budget to begin with) and add them to a large garbage bag for donating. 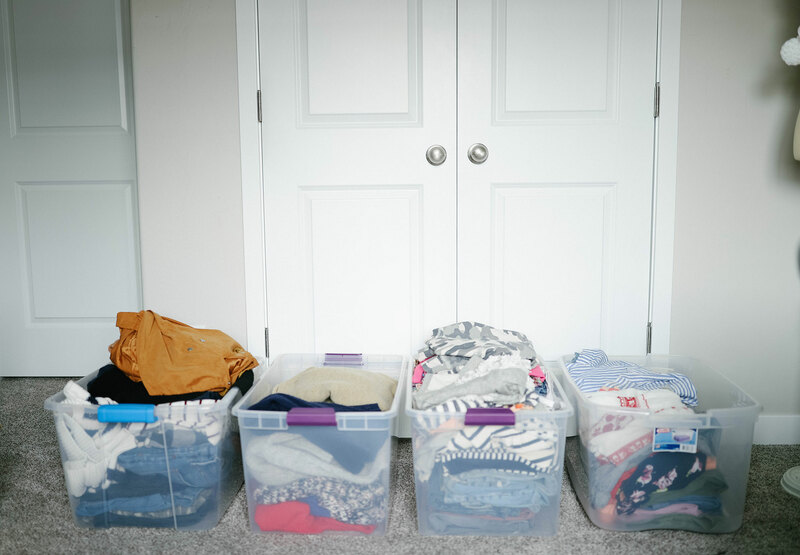 Your 6th bin is for clothes that require a little more time to decide. These could be clothes you wore last season, but not a lot. 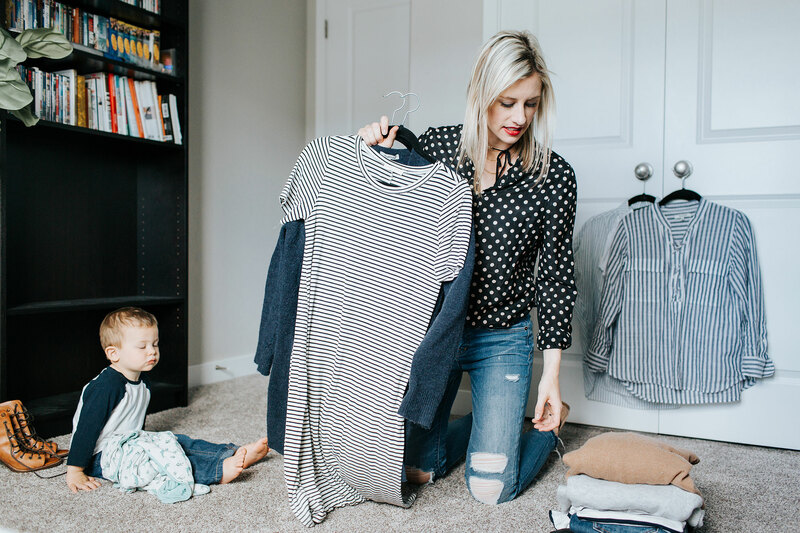 It could also include recent purchases that you don’t really love or all-time favorites that you haven’t worn in a while, but aren’t ready to part with. I put church clothes and special occasion clothes in this bin as well. I don’t wear dresses and skirts regularly in my daily wardrobe, but I do wear these items each Sunday or to weddings. If you have an entirely different work wardrobe, consider a 7th bin for workwear that’s separate from your seasonal bins. Otherwise, just add your workwear items to your seasonal bins. 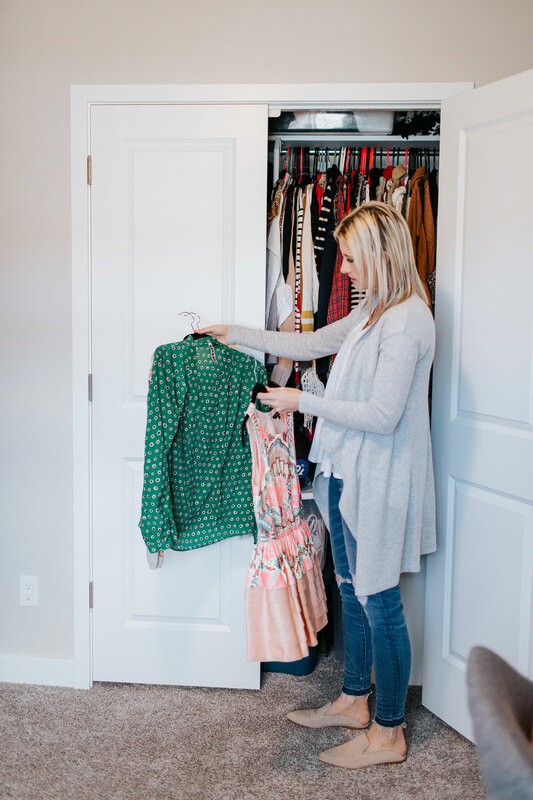 When you finish all of the above, your closet should be completely empty (other than shoes, scarves/hats/accessories and possible workout wear). Now comes the difficult task of being really honest with yourself. One seasonal bin at a time, empty the clothes out again and go through them item by item. Answer the question: Would I wear this tomorrow? 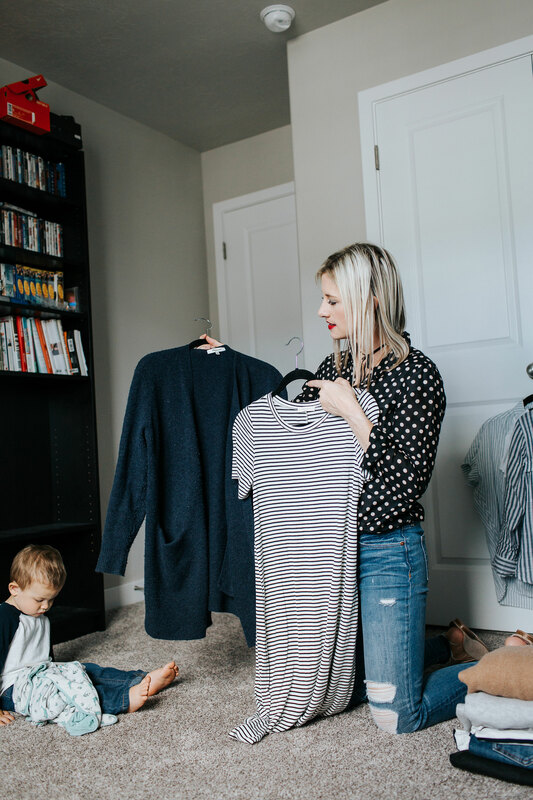 As you go through your seasonal bins, identify items that you purchased multiple versions of or that are difficult to categorize by season and set them aside in their own piles (for me, this includes jeans, white tees, black tops, striped tops, etc.). Still, no need to worry about the number of items in your bins. The goal right now is ensuring the items in your bins are things you’ll actually wear. Over the next several weeks, as you wear only the clothes in your bin for the current season, try to mix and match different pieces to create new outfits. Identify the seasonally appropriate items from bin 6 and your duplicates and try to work them into three outfits over the next two weeks. This will help you determine how you really feel about them as well as how versatile they are. Are you excited to wear these items? Is the material comfortable? 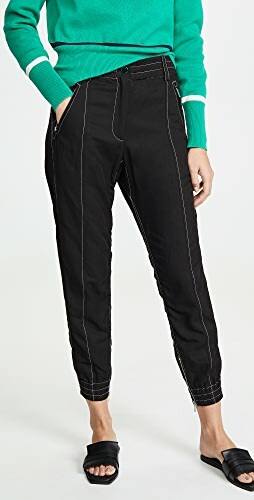 Do they fit well and make you feel confident? Or are you distracted when wearing these pieces because you don’t feel like yourself? At the end of the current season, add any clothes you didn’t wear to bin 5 (clothes for selling) or to a donation pile. If you’re still afraid to let go, consider giving the item(s) to a family member or friend who would let you borrow it back if you really needed it. This is also a good time to evaluate what’s different about the clothes you’ve kept vs those of which you are letting go. What differentiates your “keep” pile from your “letting go” pile? 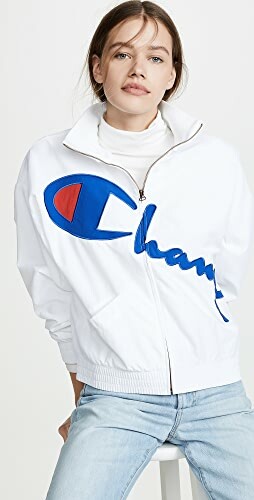 Is it the brand? The styles? The material, patterns or fit? Of the colors and patterns you are keeping, what do these have in common? Are they mostly neutrals? Bright colors? Classic prints like stripes, polka dots, floral, leopard? What colors do you tend to wear most often? Which colors do you feel beautiful in, no matter what? Think back to when you purchased the items of which you are letting go. Do you remember the motive? 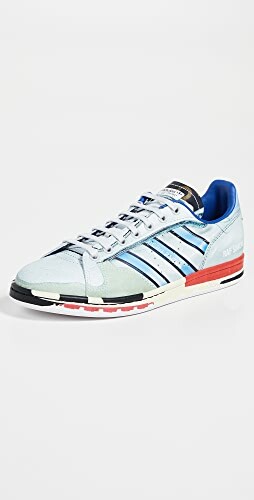 Were you influenced by someone who purchased or styled them? 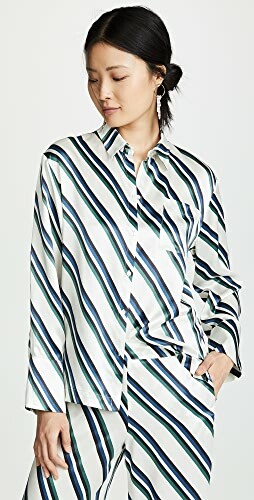 Were you trying to achieve a specific look? 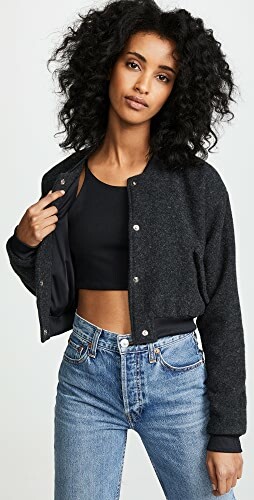 Have things changed about your hairstyle, body type or lifestyle since purchasing these items that make them no longer a fit for you? Choosing to simplify your life takes courage. 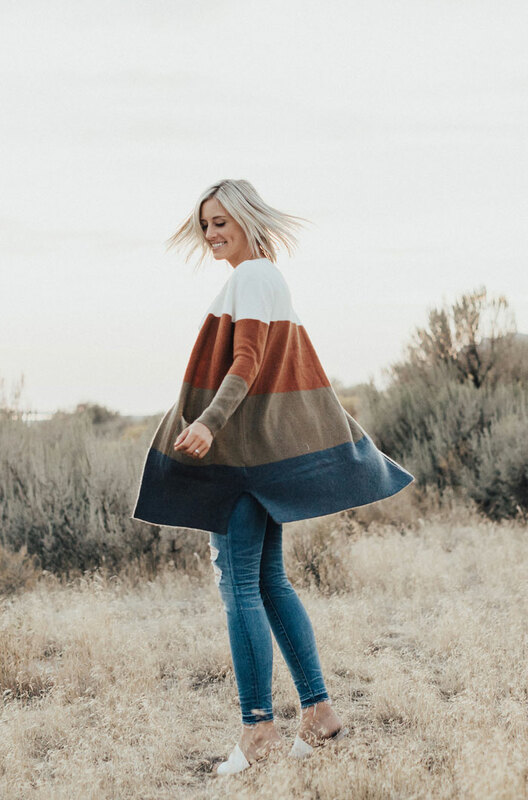 Courage and authenticity are two of my top values so when I got the idea to simplify my wardrobe and let go of the things I love, but never wear, I knew I had to do it. No matter how much it scared me. As soon as I lose weight I’m going to wear this all the time. Once I feel more successful and confident, I’ll wear this all the time. I spent too much money on this to let it go. I don’t want anyone else to have this. People envy me for this item. My unique clothes and style are what set me apart. I still sometimes have these thoughts, but I’ve come to realize that they’re just thoughts. And it’s time to let them go, Sister. Perhaps a layer beneath the thoughts are fears that our clothes somehow define us. But we are so much more than what we wear, what we can afford and how we look! Plus, you’re not getting rid of everything, remember? The favorites stay. 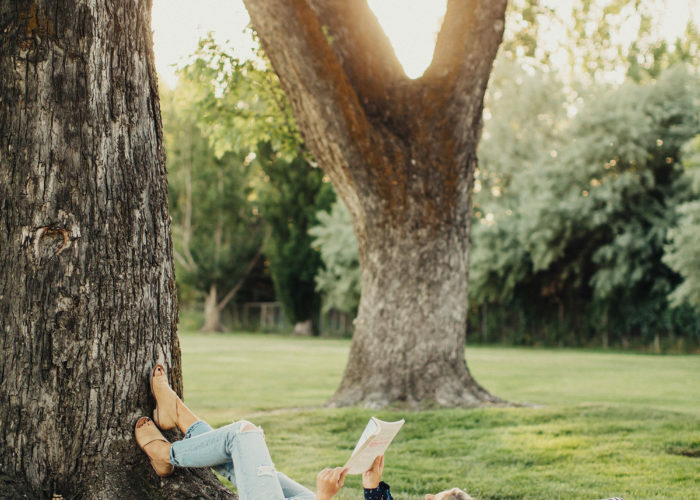 Give yourself the freedom of an authentic, intentional life. Clear out the clothes, clutter and thoughts that no longer serve you. We were meant for greater things! 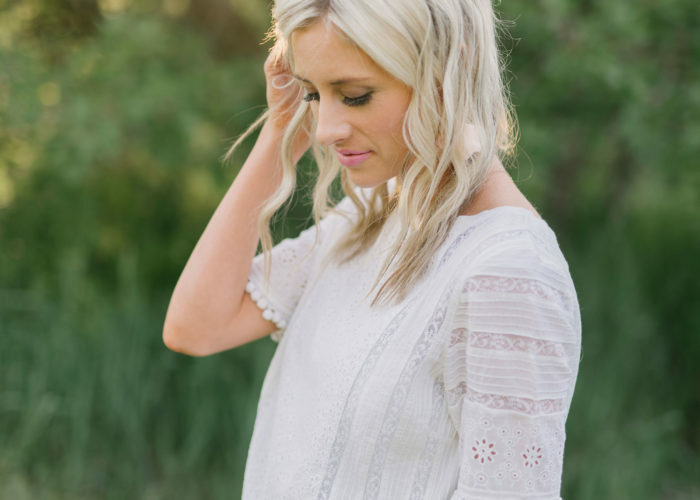 Are you ready to clean out your closet in time for the New Year? What questions can I answer for you? 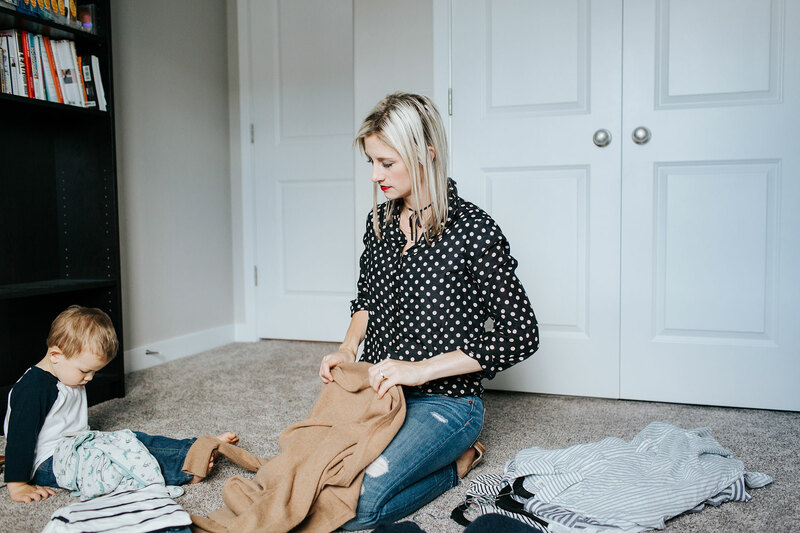 Read more about my decision to adopt the capsule wardrobe and stay tuned for my next post on how I built my Fall capsule wardrobe (including the number of items that are in it). 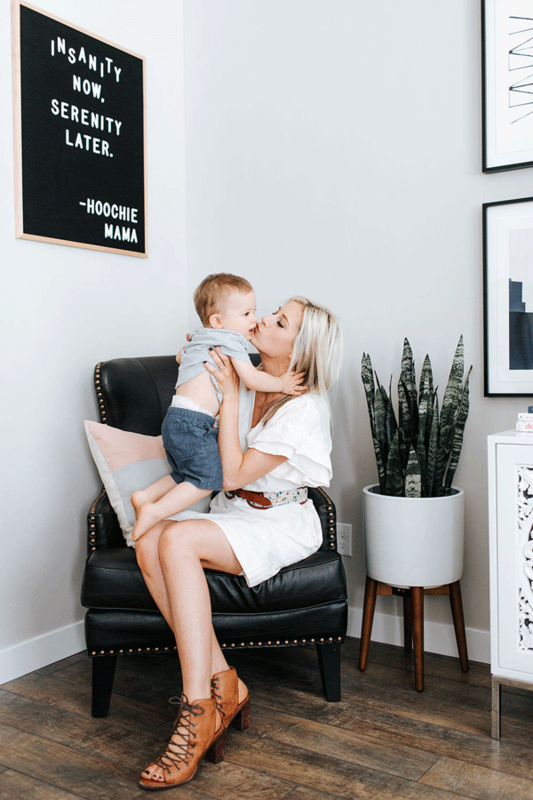 I’ll also be sharing additional posts on how to find your most authentic self. *Newsletter sign-up can be found in the right sidebar if you’re reading this on your laptop or desktop, or below the comments section if you’re viewing from your mobile device. I love the questions you suggested. Noting them down right now so when I clean out my closet next, I’ll do it properly. I’d love to adopt a capsule wardrobe myself but haven’t yet because I’m still so afraid! 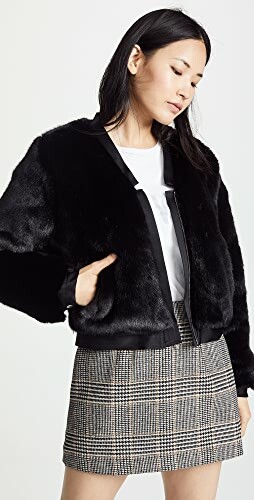 Time capsule wardrobe have really started to interest me a lot lately. Would love to give some of your tips a try ? This is helpful! I am totally ready to let some things go in my closet! I know my style has evolved and I just need to dive right into this! So true! 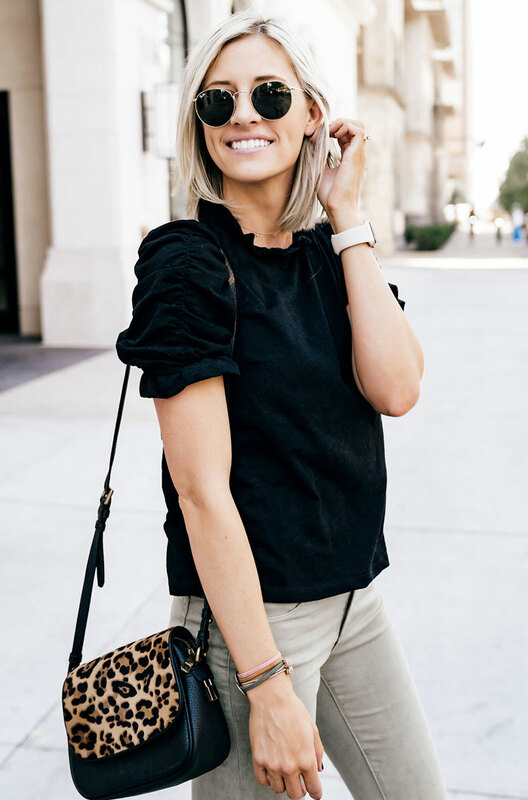 I love how powerful it can be to let go, and having a closet of clothes I love to wear (and feel comfortable in) makes getting dressed so fun! Those are my EXACT same thoughts when trying to clean out my closet. This post is SO helpful! Love your take on this and I’m so inspired to join you! 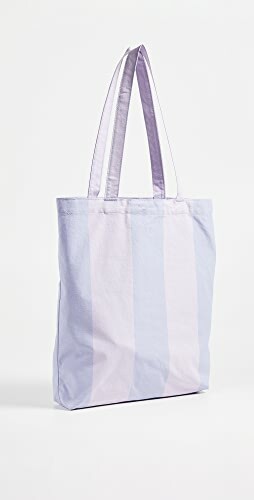 So do you just keep the other seasons clothes stored in bins in your closet? This sounds so great! I definitely need to clean out/organize my closet and this sounds like such a great idea. Shop Knit Turtlenecks, Off Shoulder Black Dresses, Classic Tops, Grey Long Sleeve Tees and more. Get this widget.